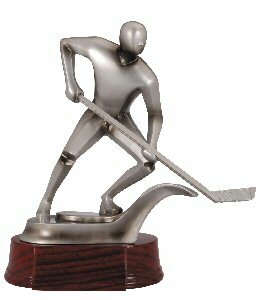 New modern abstract trophy on an elegant wood finished resin base. This will make a very special award for a player, coach or tournament winner. Includes free personalize.